A splendid hole in the wall design. 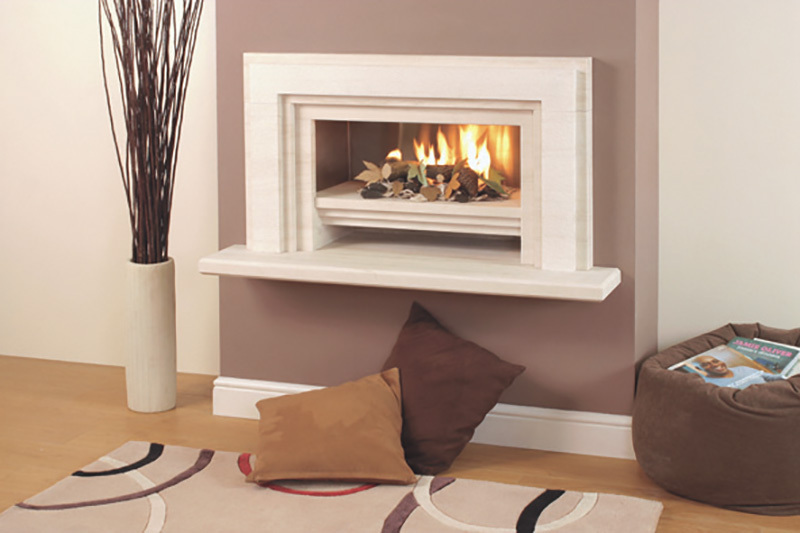 Simple lines together with a sensational raised limestone basket really make this fireplace stand out from the crowd. Option of either a stainless steel or matching limestone chamber.